After the blockbuster release of IT last year, there’s a lot of excitement to see what Andy Muschietti can do with the second half of this terrifying Stephen King adaptation. The film will follow The Losers Club members as adults, with more established Hollywood names stepping into the roles. Now, on the heels of the recent reports that Jessica Chastain would join the cast, X-Men: First Class star James McAvoy and Saturday Night Live alum Bill Hader are being eyed to join the film as well. According to a new report from THR, James McAvoy and Bill Hader are both in talks to join Jessica Chastain (who is reportedly on board as Beverly Marsh) and Pennywise actor Bill Skarsgard in IT: Chapter 2. McAvoy is circling the role of Bill Denbrough (played by Jaeden Lieberher in the original), while Bill Hader would step into the role of Richie Tozier, inheriting the part from Stranger Things actor Finn Wolfhard. Characters like Ben, Mike, Eddie and Stan still need to be cast to round out the lineup, but if this goes through, then it looks like we will have half of The Losers Club locked down and ready to go for IT: Chapter 2. Casting the adult versions of Bill and Richie are two of the most critical roles in IT: Chapter 2. Though The Losers Club is largely framed as an ensemble, Bill is mainly viewed as the main protagonist of IT. Meanwhile, Richie has one of the more substantial character arcs in the original film, rising to celebrity status as an adult through his use of funny voices, something Bill Hader is arguably perfect for. So, if James McAvoy and Bill Hader ultimately do sign on to IT: Chapter 2 and join Jessica Chastain, then the folks behind the film will need to find the remaining four members of The Losers Club by this summer. 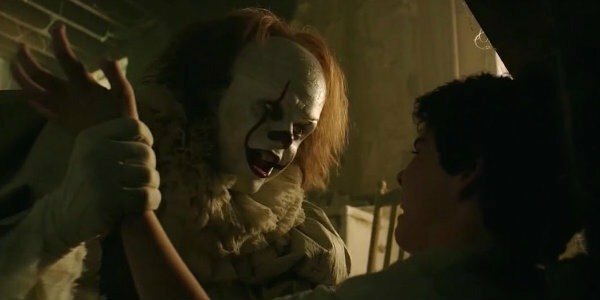 With so many unanswered questions remaining, CinemaBlend will bring you new details related to the highly-anticipated IT sequel as they become available to us. The film will scare its way into theaters on September 6, 2019. For those of you on the lookout for more information about this year’s biggest film releases, then head over to CinemaBlend’s full 2018 movie premiere guide!